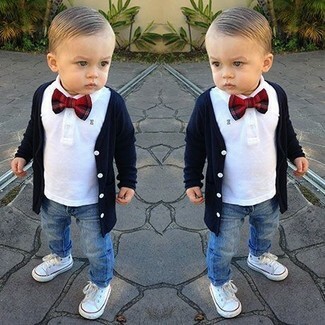 Suggest that your boy dress in a Tommy Hilfiger kids long sleeve liam cardigan boys sweater and beige sweatpants for a fun day out at the playground. 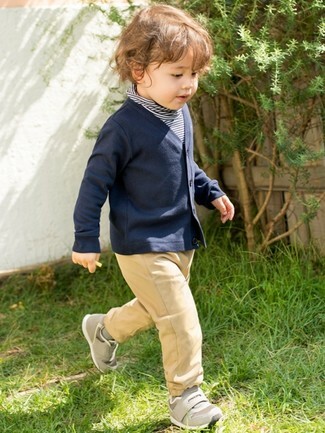 Suggest that your little man dress in a navy cardigan and charcoal sweatpants for a fun day out at the playground. This look is complemented wonderfully with charcoal sneakers. 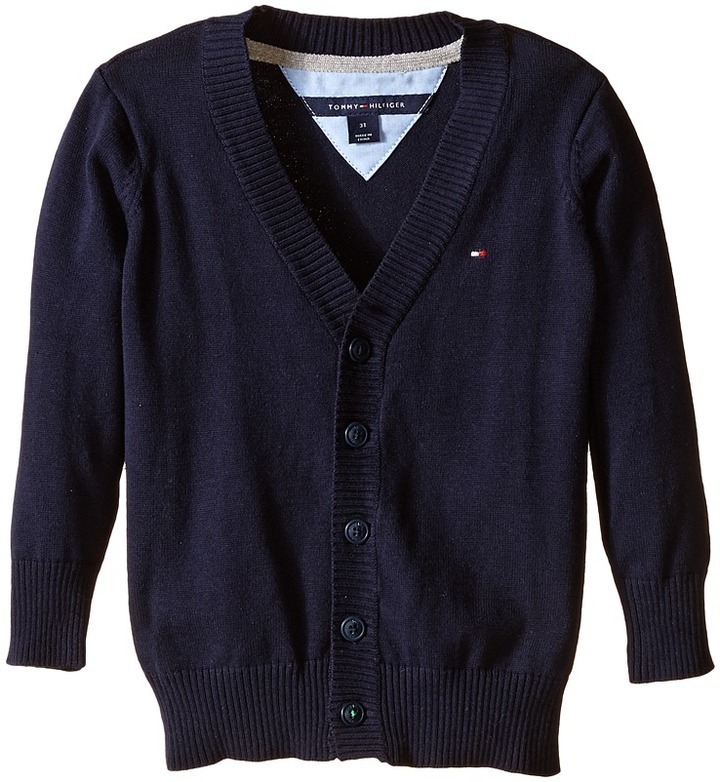 Suggest that your little angel opt for a Tommy Hilfiger kids long sleeve liam cardigan boys sweater and tan trousers to help him look like a true little gent. Round off this look with grey sneakers. 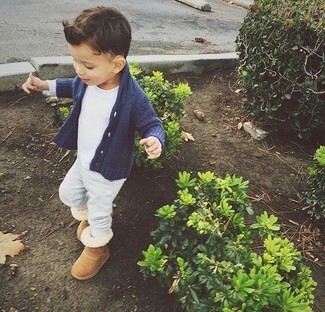 Go for a navy cardigan and grey sweatpants for your tot for a laid-back yet fashion-forward outfit. Complement this getup with tan uggs. People will ooh and ahh over your little angel if he wears this combo of a Tommy Hilfiger kids long sleeve liam cardigan boys sweater and tan trousers. Grey sneakers are a good choice to round off this ensemble. 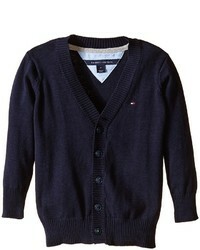 Suggest that your boy pair a navy cardigan with blue jeans to create a smart casual look. White sneakers are a nice choice to round off this getup.